October’s best mortgage offers for borrowers with the best profiles (the 95th percentile of borrowers) had an average APR of 4.61% for conforming 30-year fixed-rate purchase loans, up from 4.39% in September. The APR on refinance loan offers increased 22 basis points (bps), to 4.62%. 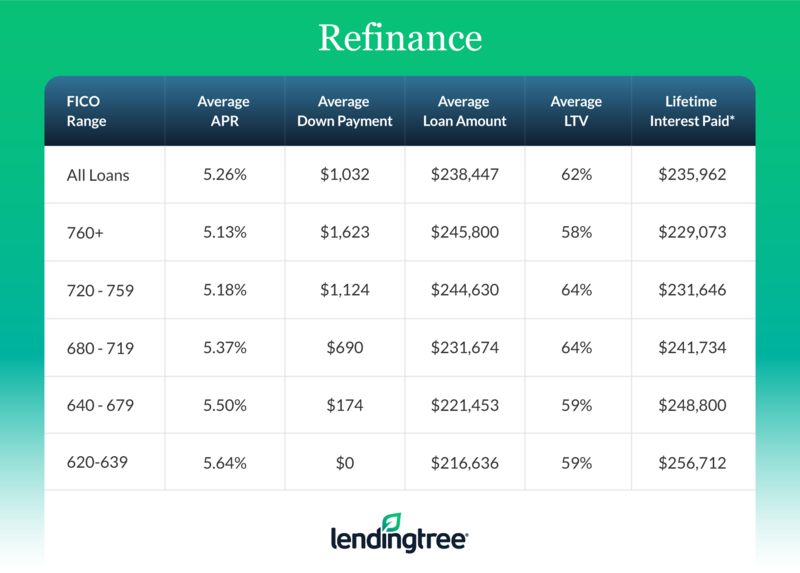 We consider people with the best credit profiles to be those who received the best mortgage offers through the LendingTree marketplace, which allows users to compare offers from multiple mortgage lenders. For the average borrower, the purchase APR for conforming 30-year fixed-rate loans offered on LendingTree’s platform was 5.27%, up 18 bps from September. The loan note rate of 5.14% is the highest rate of the year. We prefer to emphasize the APR, as lenders often make changes to other fees in response to changing interest rates. Consumers with the highest credit scores (760-plus, representing the 65th percentile of borrowers) received an average APR of 5.12%, versus 5.42% for consumers with scores of 680 to 719. The APR spread of 30 bps between these score ranges is the same as it was in September. For the average purchase loan amount of $233,938, the spread represents over $15,000 in additional costs for borrowers with lower credit scores over 30 years. The additional costs result from higher interest rates, larger fees or a combination of the two. For the average borrower, the APR for conforming 30-year fixed-rate refinance loans increased 17 bps from September to 5.26%. The spread between credit score brackets (760-plus and 680 to 719) remained the same as last month, at 24 bps. That amounts to nearly $13,000 in extra costs over the life of the loan for borrowers with lower credit scores, given an average refinance loan of $238,447. Average proposed purchase down payments fell to $60,361, a decline of about $3,600.